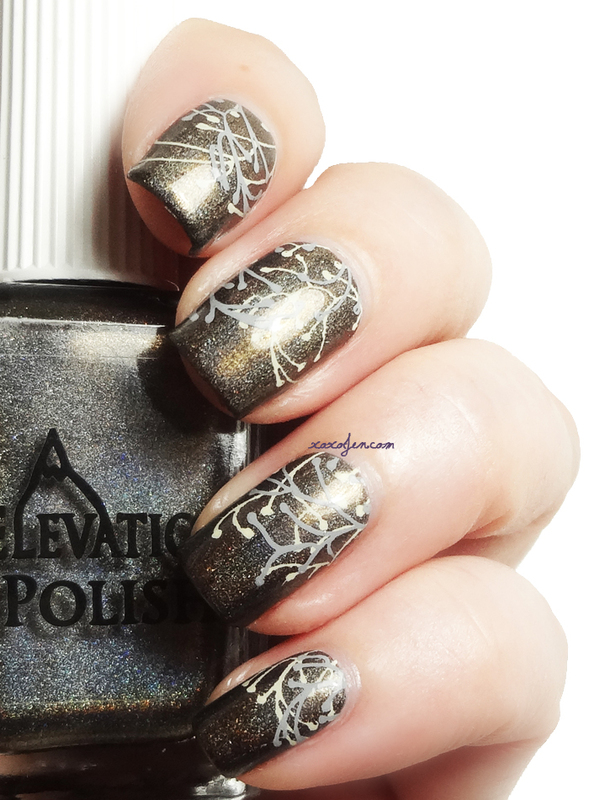 One of my long time favorite polish companies is Elevation. Over the years that I have purchased from them, they have been very consistent with customer service, formula, and their launch dates are the same each month. This is a company that I stalk for every launch, and sit online waiting for the new shades, samples and sbps to be available. The polish I'm sharing today is a sample, which means it was only available once and in a very small quantity of one to three bottles. Luck was on my side at the time it was listed. 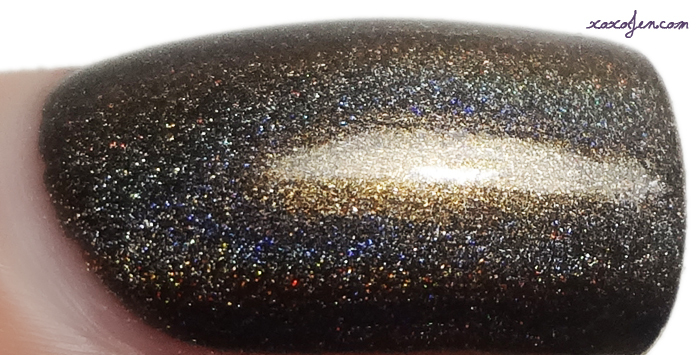 It's a beautifully done brown holo with golden shimmer. The formula was perfect and opaque in one coat. After I wore it a few days, I double stamped over it with a Vivid Lacquer plate design that was custom made for me - and is available to everyone on plate number 14. 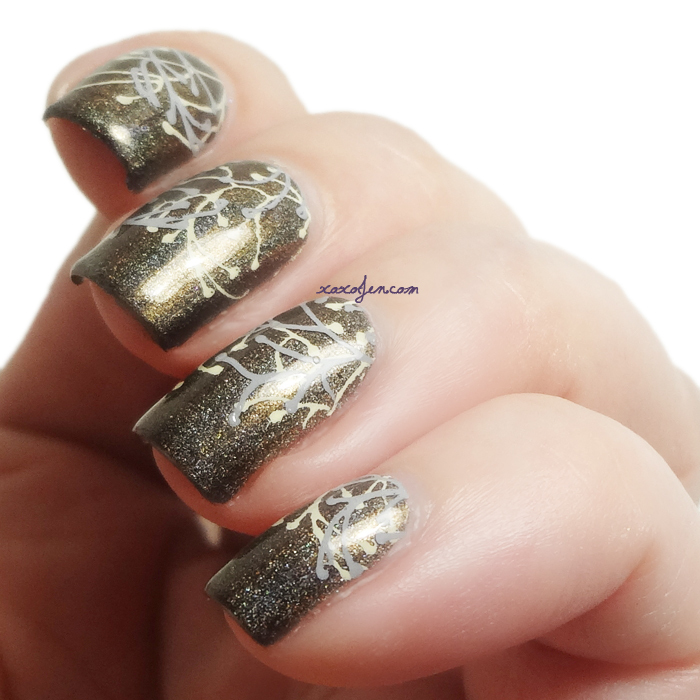 I used my GPS jumbo stamper and MDU stamping polishes in #33 and #43. I love how it turned out, and wore it for the remainder of the week last week. 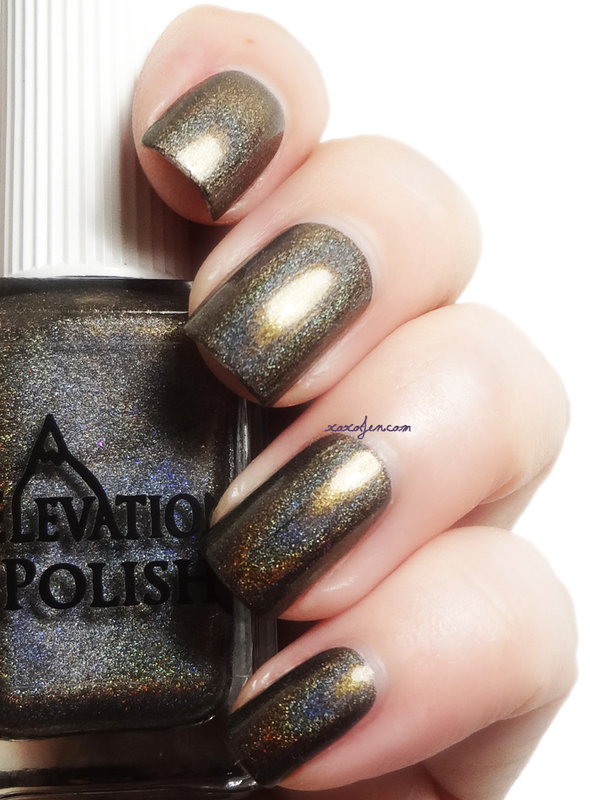 I hope you've enjoyed the photos - what is your favorite Elevation polish color? What a nice polish and the stamping looks good too.